ALWAYS IN MOTION. ALWAYS IMPROVING. Our focus is directed on products that serve a technical purpose and that can be used to increase safety and productivity. We design and fabricate technical prodcuts. 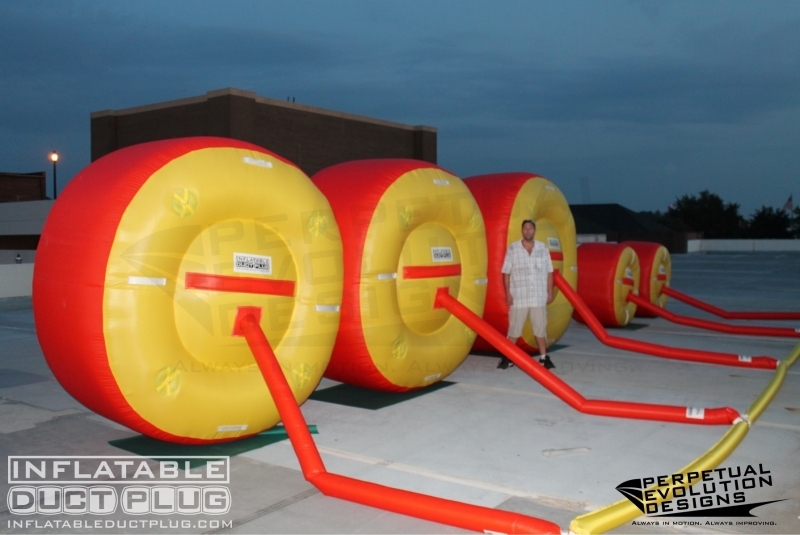 Our overhead does not include the inflated costs associated with creating inflatables for advertising and amusements. We are driven by science and operate our company in a manner that allows us to dominate the field of technically sound inflatable structures. 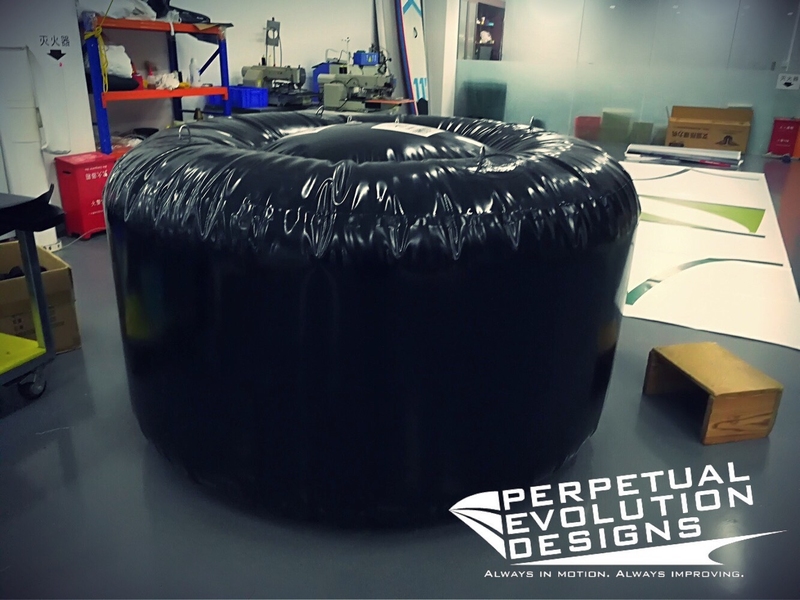 Perpetual Evolution Designs is also an industry leader in creating strikeable objects for use in testing autonomous vehicles and driver assisted crash avoidance systems. Our experience in designing and fabricating industrial products dates back to 1998. During this time period, the necessary design techniques required to accurately calculate the fully inflated size of a structure were developed. This included taking into account the distortions associated when building inflated structures. President of Perpetual Evolution Designs, Jim Blair worked for Scherba Industries dba Inflatable Images in Brunswick, Ohio from 1998 to late 2012. During that time period, he oversaw the design department and worked with his crew to change the way inflatables were engineered. Clients who benefitted from these advances include all branches of the United States Military, the National Football League, Ford Motor Company, Takata, Macy's, Major League Baseball and dozens of high end commercial clients. Experience and keeping up to date with evolving technologies and fabrics allows us to design and fabricate a superior product. Our facility is run as a lean operation which allows us to be highly competitive while producing a superior product. Using advanced software intended for building boats and aircraft, the way inflatables were designed, patterned and flattened was transformed. The precision techniques developed as a result of seeking new methods were able to be applied to creating inflatables with calculated precision. The science behind these products and this school of thought is our passion and pride. It's been applied to structures, military decoys, soft targets for automotive testing, shelters and pneumatic support systems that have been installed worldwide. Solving problems using fabric and air is not just an industry choice, it's a way of life. We evaluate every build before, during and after fabrication. This allows us to see windows for improvement in this evolving technology. The advantages of this process have allowed us to make notable modifications to what most consider to be the industry standard. Keeping safety in mind has also influenced our choices during the design process and also when selecting the materials used when fabricating our inflatable duct plugs. The focus of Perpetual Evolution Designs revolves around industrial applications that are rooted in safety equipment, scientific studies and testing. Our outfit is committed to providing innovative solutions to a handful of industries that rely on applied science, creative thinking and fabrication that yields technically sound results. Every job we take on has a purpose or intention of improving the planet as a smarter, safer place. Our standard depth is 65% thicker on average than other products on the market. This adds approximately 24" to the "working surface" of the balloon. 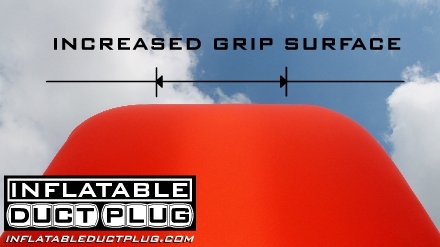 Increased depth allows for more grabbing power and improved seals. The school of thought is similar to a wider tire having greater braking power than narrow tires. PED's Duct Plugs essentially have "more rubber on the road." Brighter colors allow for increased visibility and can also serve as a useful tool when internal lighting is applied to create light via diffused reflection. Many installations occur in locations that are short on light with decreased visibility. Our color scheme is safety oriented and helps reflect available light in the work space. This includes reducing the tripping hazard on our inflation tubes by making them with brightly colored materials. Contrasting materials used in perimeter surfaces and intersecting planes allows for easier orientation of the balloon when unbagging and positioning it prior to inflation. These are just a few of things that set our product apart from the standard issue inflatables currently being offered in the industry. Our innovation and ability to create and react accordingly to each special scenario keeps us in the lead. Experience, knowledge and hard work fuels every part of our operation.